When I think about my own journey with food, my body and my health, it comes down to a variety of factors. The most pivotal being having an empowering mindset, listening to and trusting my body, being flexible and open to change, embracing the journey and going on deep journey within myself. These are the foundational pieces of health and happiness that my guest, Sherri, and I chat about this week. 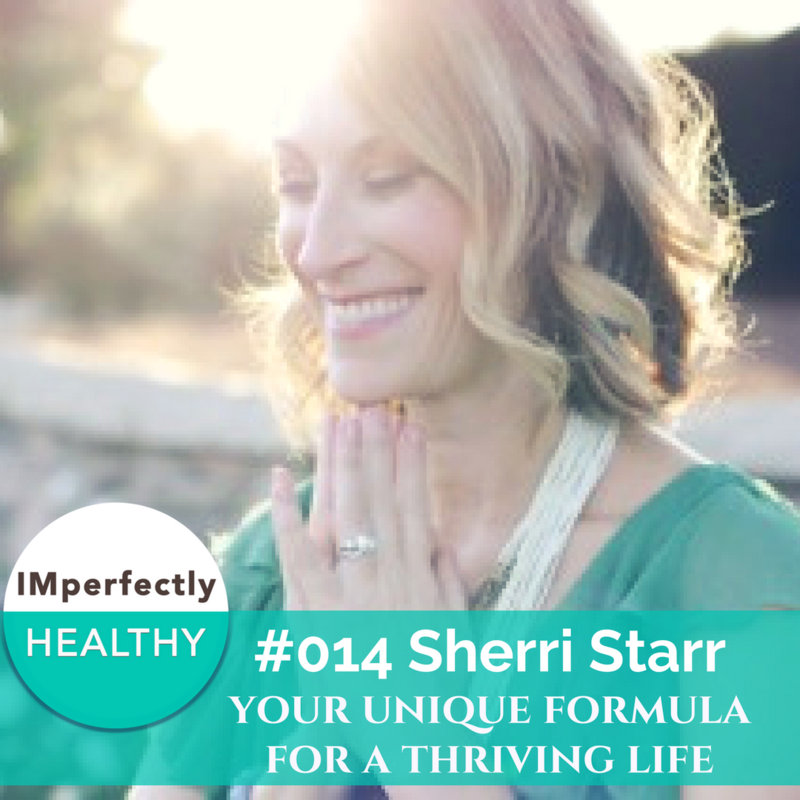 In this episode of IMperfectly Healthy, I interview Sherri Starr – a life, health, and happiness coach on a mission to guide and empower women to live in a body they love and a life that lights them up. Sherri’s passion for proactive wellness was sparked by the loss of her father to suicide, which resulted in new insights about the importance of participating fully in each moment of our precious lives. why having an empowering mindset is key to getting results. how your beliefs shape your life and health. why your food and body story can keep you stuck. how to both enjoy the journey and strive for improvement/growth. what it takes to sustain lasting change in your life and with your health. how to create goals in alignment with your true self. the importance of creating trust and connection with your own body (your most trusted advisor/expert). Learn about Sherri at www.SherriStarrWellness.com. Leave a Review of the Show!! Thank you!